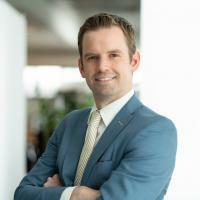 Matt Carpenter is Vice President and Chief Financial Officer for Audi of America with responsibilty for the financial planning, steering, controlling, reporting and target achievement at Audi of America. He also serves as CFO of Audi Canada. He reports to Scott Keogh, president, Audi of America. Carpenter's most recent role at Audi of America prior to becoming CFO was general manager, vehicle sales, responsible for new and pre-owned sales for the Audi brand in the U.S. from 2011 until 2015. Since then, Carpenter served one year as general manager, dealer remarketing, for Audi Financial Services / VW Credit, Inc. and also spent five months on foreign assignment in Ingolstadt, Germany, in AUDI AG’s controlling department. Carpenter joined Audi of America in 2007 as a business management consultant in Auburn Hills, Michigan. He later was appointed vehicle merchandising manager. In that role, Carpenter played a central role in boosting Audi U.S. sales volume and improving the quality of the business for the company and its dealers. These efforts included addressing the efficiency of sales programs and sophistication of retail sales and incentive planning. Before Audi, Carpenter held various positions at Ford Motor Company. He holds a Bachelor of Business Administration from The University of Michigan in Ann Arbor.